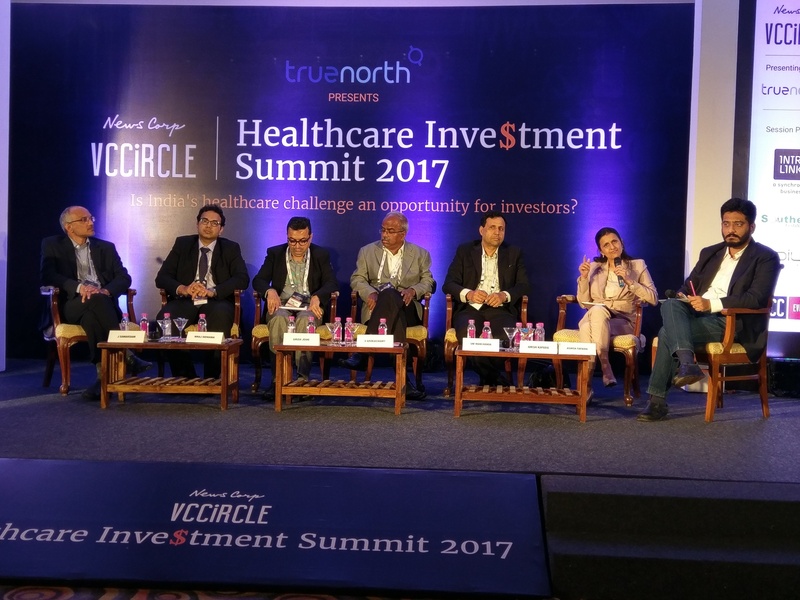 The Indian healthcare sector is yet to realise its investment potential, but is poised for huge growth over the long term, said panellists at the ninth edition of the News Corp VCCircle Healthcare Summit. The participants said that the healthcare sector is also under-represented on the stock exchanges and that there is potential for many healthcare companies to float initial public offerings. Niraj Didwania, head corporate development and investor relations at Healthcare Global Ltd, said that many healthcare firms are still evolving and need to reach a scale before they are suitable for public listing. Jagannath Samavedam, general partner at Ventureast, said that businesses with a strong foundation have, in general, outperformed the benchmark indices. According to Manchanda, IPOs can help companies grow out of their space and become bigger players, or even go global, and the stocks can be used as currency in times of expansions, or mergers and acquisitions. In fact, Velumani went a step further to say that by 2025, India could see at least 25 listed healthcare firms with valuation of more than $1 billion. “Diagnostics as a sub segment is in a sweet position within the healthcare space. Our company is happy to have gone public at the right time,” Manchanda added. Dr. Lal, which had floated its initial public offering in December 2015, saw its share price rise by over 100% in November 2016 to Rs 1,278, against its offer price of Rs 550. It is currently trading at Rs 807 on the BSE. Likewise, oncology firms, too, have been doing well after listing. For instance, Healthcare Global, which went public in March 2016 to raise Rs 650 crore from the market, saw tepid response from investors initially, but the shares were trading at 25% higher to its IPO price of Rs 218 per share on Monday. Analysts and stakeholders have also been positive on Healthcare Global. Amishi Kapadia, senior president and global head of merchant banking at YES Securities, was also very bullish on healthcare IPOs and highlighted various instruments and ways through which healthcare firms could raise funds. “Data analytics will play a very crucial role. A company has to reach a certain scale before it decided to go public. While there are very few players, it is a high-growth and, in some way, a recession-proof sector,” he said. Kapadia said that though health insurance is dismally low in the country, it shows prospects of growth and this will eventually boost healthcare awareness and spending. “Healthcare is one of the most basic sectors that has to grow, just like infrastructure. There are various avenues through which healthcare facilities and infra can get a boost. We can create an investment trust similar to REITs and InvITs. There is scope for long-term bonds or tax-efficient debt instruments. Even public-private partnership. Surely we need impetus from the government as well,” he added. The overall positive sentiments around healthcare have also resulted in a host of pharmaceutical and healthcare companies successfully listing on the bourses, including that of Biocon Ltd’s contract research services arm Syngene International Ltd, which went public in July 2015. Alkem Laboratories Ltd, India’s fifth-largest drugmaker in terms of domestic sales, had also tapped the primary markets in December 2015 with a Rs 1,350-crore IPO, followed by the IPO of Warburg Pincus-backed Laurus Labs in November 2016. In June, pharmaceutical company Eris Lifesciences also went ahead with a Rs 1,741 crore IPO. The past 18 months also witnessed a number of companies from the broader healthcare sector go public, including diagnostics companies Dr Lal PathLabs Ltd and Thyrocare Technologies Ltd, and hospital chains Narayana Hrudayalaya Ltd and Healthcare Global Enterprises Ltd.
“Investors are willing to give premium to healthcare companies, but obviously market sentiment is very important. There is huge demand and interest among investors, market is looking forward to more healthcare IPOs,” said Girish Joshi, senior general manager, listing business, BSE.